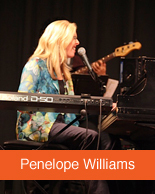 At home in the world of performance, Penelope has studied piano and voice with the masters, honed her technical abilities through countless hours of dedicated work. This commitment has led to opportunities for Penelope working as a performer in in countless venues across the globe: Centers For Spiritual Living, The Kennedy Center, International Assoc. for Jazz Education. At home performing as a soloist as well as a member of a large ensemble, Penelope delivers her music at the highest standards. Not all who perform can or want to teach. Penelope has a deep desire to bring out the inner talents of students, young and old. The patience to nurture the natural gifts of others so they emerge and grow comes from the desire to help others develop and grow as artists. For years, she has maintained a studio of students many whom discover the importance of creativity, theory, and repertoire as ingredients for success in academics and the arts. 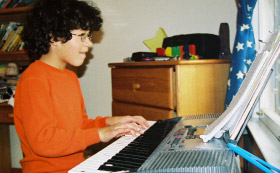 Penelope has developed and led many music and arts programs. She has taken them from infancy and grown them to become top-quality performance organizations bringing joy to performers and audiences alike.